Parenting? Yep, there’s an app for that! We’ve rounded up the best and most popular baby apps that will totally change the way you parent your infant. From apps for breastfeeding moms that track how much milk you’ve pumped to ones that help your tiny tot fall asleep, these baby apps do everything. Well, almost everything. They won’t change diapers or get up for 2AM feedings in your place! They are super helpful to new moms, though, so check them out! Which of these popular baby apps do you think will end up being the most helpful. Because they’re so affordable, if one doesn’t work for you, simply delete it and go on to the next one. Total Baby is an app that you can use to learn about all sorts of aspects of day-to-day childcare, from the amount of time babies spend sleeping to how many diapers they go through in the time span of 24 hours. It can also be used to keep track of feeding times and is great for new moms who choose to breastfeed. Currently, Total Baby is available via iTunes for around five dollars. If you have been pumping milk for your baby, this app is the perfect tool. Milk Maid lets you keep track of how much you’ve pumped as well as how much your baby has consumed. This means that it can also tell you how much you have left in the fridge. Milk Maid is roughly three dollars on iTunes. WebMD Baby gives you access to information from the WebMD site that has to do with babies. 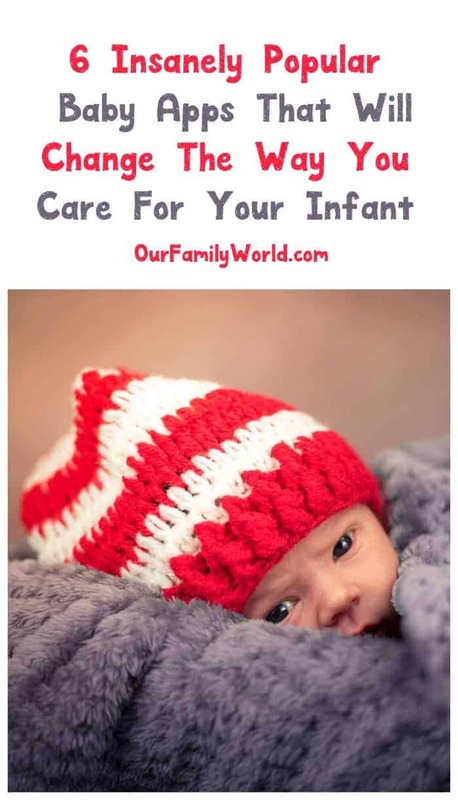 Much of this doctor-approved information can help guide you in helping your baby get better when they get sick. The app also allows you to track your baby’s health information, such as sleeping or feeding schedules. It’s available for free on both Android and iOS. This simple app plays white noise to help babies (and mom, too) fall asleep. There are a variety of sounds to choose from, such as car ride or air conditioner that play on a loop You can also set a timer so that the sound will stop automatically once enough time has passed. It also has a baby rattle mode to help keep baby entertained. It’s currently available for both Android and iOS for just one dollar. If you have two iOS devices in your house, you can use Cloud Baby Monitor to turn them into your own video baby monitor. Simply keep one device in your baby’s room and the other with you so that you can view it. This is ideal for if you and baby will be staying at someone else’s house because it only takes two iPhones to keep an eye on your baby. Cloud Baby Monitor is available on iTunes for right around four dollars. This versatile app lets you keep track of all sorts of things relevant to your baby’s growth stage, such as feeding schedules or nap times. It can also give you parenting information relevant to kids your baby’s age. It also has a storybook feature, which helps you create a digital scrapbook using your child’s photos and videos. It’s available for free on both iTunes and Google Play. These are great apps! I wish they were around when I still had tiny babies. I’m still going to get the white noise app for myself though!